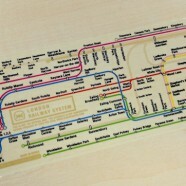 Home » Tube » Tube Map Sticky Tape! 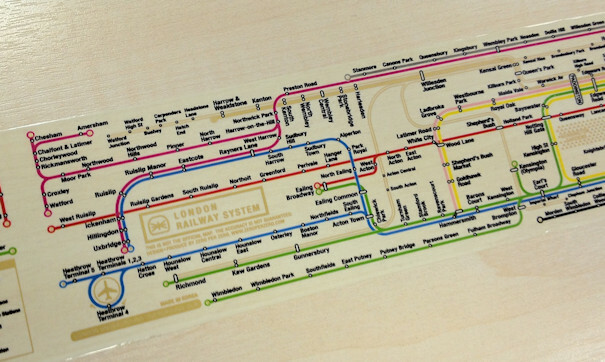 Now this is just excellent – it’s a roll of tape with a custom-designed map of the London Underground (and DLR & Overground) on it. It’s produced by the Seoul-based designers Jin Sol and Kim Ji-hwan, who make up the studio ZeroPerZero. 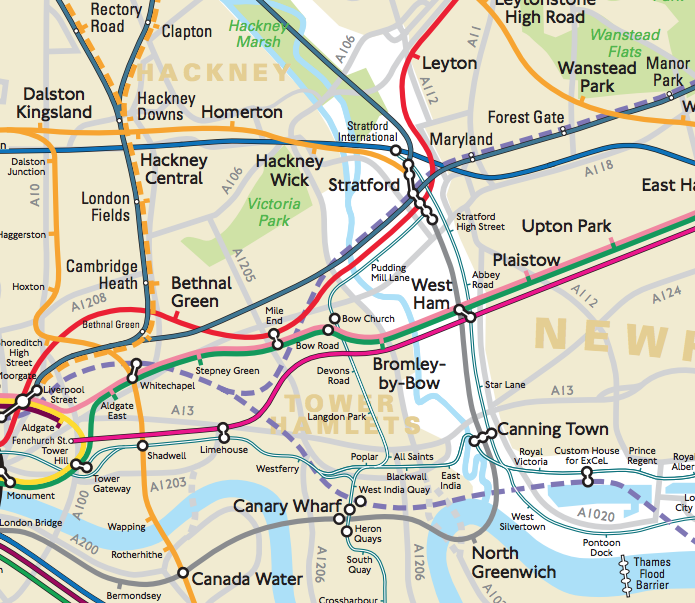 I particularly like this “1.5D” take on the familiar tube map. Constrained by the tape’s natural shape (i.e. 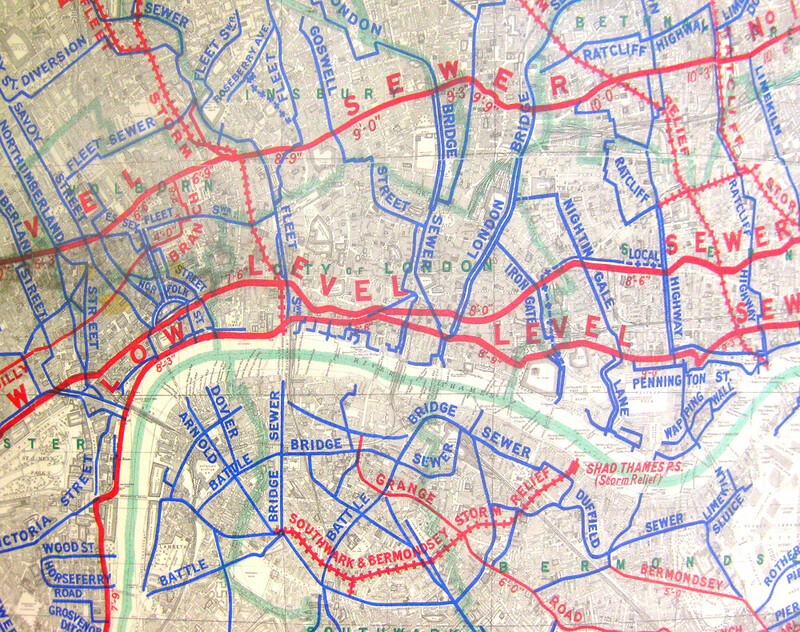 long and thin), the designer had to construct a map where essentially all the lines run in one direction, while still including the intricate topological connections that are the key part of a tube map. It’s not quite one dimensional – that would be impossible for a multi-line map – but the second dimension is certainly constrained. 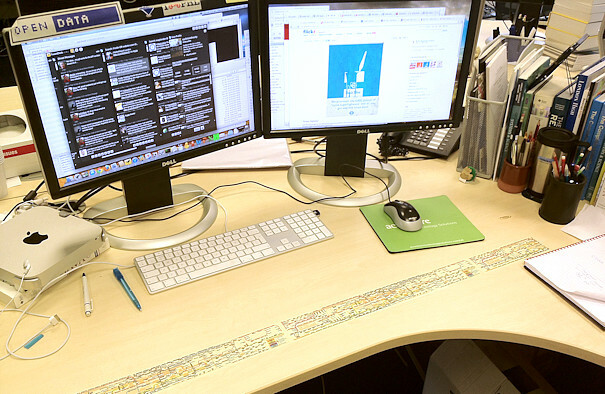 The design is a custom one, rather than being an “official” map repurposed. 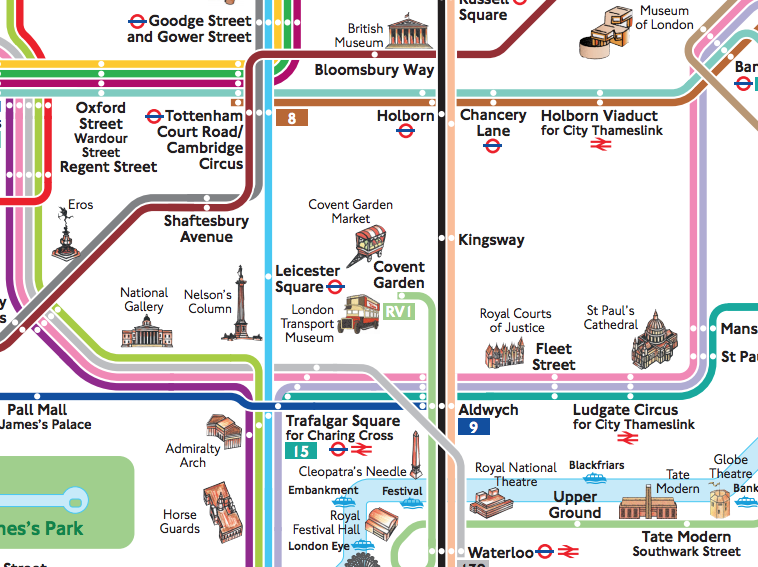 Colours vary slightly from the traditional ones, and all stations are shown with circlar dots – of different sizes depending on their importance. 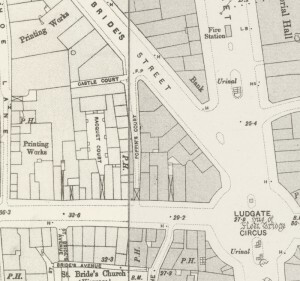 Lozenges make up interchanges – with the name of the station inside them for the major ones. 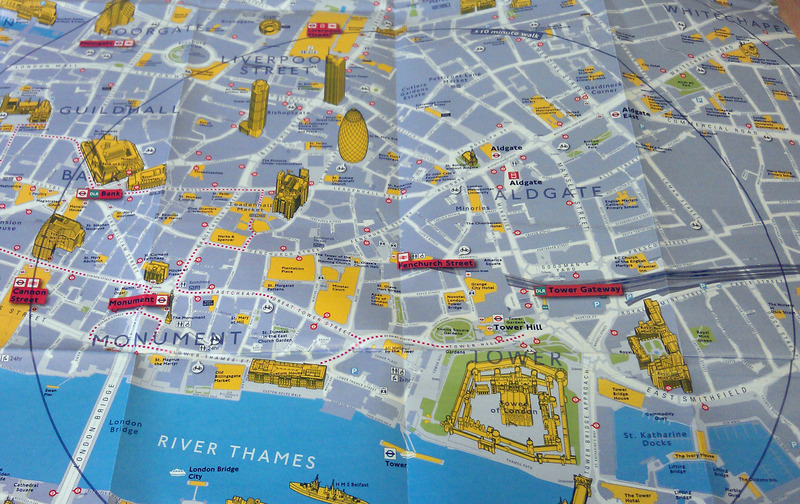 Major above-ground London landmarks are included in gold – the London Eye, St Paul’s Cathedral etc. Lines bend back on themselves resulting in sometimes dramatic geographical distortions. 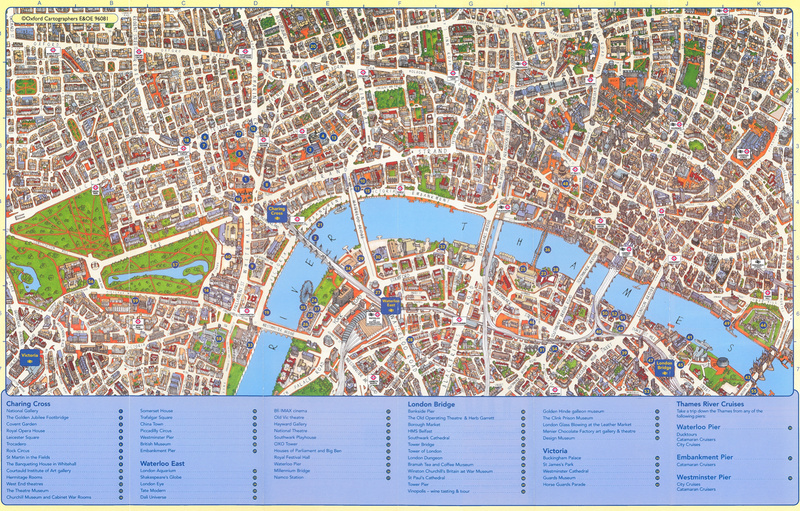 Nothing as extreme as Francisco’s map – this map is intended for practical use as well as novelty. WHERE CAN U BUY THE TAPE?? 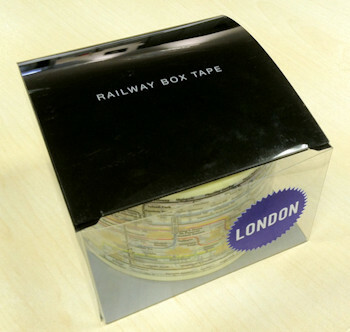 For the UK: http://www.rawdice.co.uk/index.php?rewrite=search – although they appear to only be selling the NY Subway tape for now, rather than the London one – so contact them to see if they have the London one in stock.